23km, 380m climbing (course details at mapy.cz). The circuit is run in the counterclockwise direction. 11,5km, 170m climbing (course details at mapy.cz). The circuit is run in the counterclockwise direction. 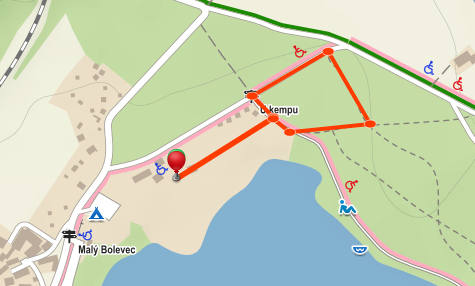 800m loop is run counterclockwise (course details at mapy.cz). Competitors on the 1600m course pass 2 loops. Will be marked in the campsite.